No one’s too cool for this pool!! You won’t want to miss viewing this unique split-level home on a sought after crescent in Silverwood! It is classy and perfect for entertaining! Upon entering, you will walk in to a large entryway that opens to a beautiful cozy living room. It is an ideal space for winding down after a long day. This area is open and welcoming to the second level, which houses a spacious and well-appointed kitchen and dining room area. Down the hall you will find a large master suite featuring 5 closets, balcony, 3 piece bath, wet-bar and a door opening to a separate pool room. Adjacent is a main 4 piece bath and 2nd bedroom. Down to the third level you will be greeted with a space that is an entertainers dream with a large wet bar, family room with natural gas fireplace, and an attached bonus room that is currently used as a recreation space. As an added feature, there is a wall of windows that looks on to the indoor pool. A utility room (seller uses it as weight room) and a 3 piece bath back this space, while a laundry area and third bedroom complete this level. \r\nYou will feel as if you are on vacation as you step out onto the lengthy balcony overlooking the 32’x16’ pool. The large pool room (48’ x 23’) is completely laden with cedar, and features a 4 person sauna, an outside wall of windows that open to the back yard and is wired for speakers. This room has doors opening to the backyard, the 3rd level and 2 doors off the balcony. \r\nThe indoor pool is between 4' and 8' deep with diving board, balcony, and non slip floor. Full cedar room with its own furnace and dehumidifier. Great shape and east to maintain.\r\nThe garage is insulated, boarded and wired for speakers and 220 volt. The garage door opener is controlled by a phone app on any smart phone. 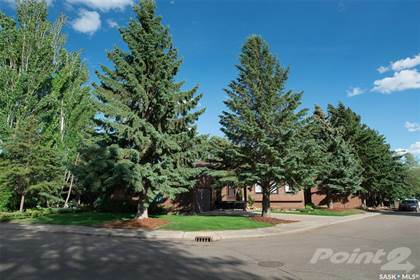 There are underground sprinklers for the lawn, both front and back, and a sprinkler zone on the side for trees.\r\nA fantastic and unique property that you will want to call home! Hi, I'd like to find out more information about 202 Charlebois CRESCENT. Thanks so much!